Get to know Fairmount Ventures: Eszter Kutas, Project Manager | Fairmount Ventures, Inc. Welcome to ‘Get to know Fairmount Ventures!’ a series of short Q+A’s with our team members, showcasing the many passions and personalities behind our firm. Eszter Kutas, Project Manager, brings expertise in business development, project strategy, and business planning. She is often the mastermind behind the curtain, building strategies from the ground up in order to maximize social impact. 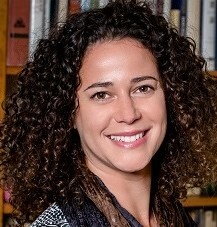 Originally from Budapest, Eszter earned her JD from the University of Eotvos Lorand and LLM from the University of Pennsylvania Law School. 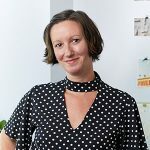 FV: Eszter – from strategic planning, business planning, resource development including multiple years at Philabundance, even launching the nation’s first non-profit grocery store – you’ve got quite a diverse background. Talk to us about your approach and about how your experience impacts your work here. EK: In my role here, I engage in both practical and strategic aspects of our work with our clients. So a major part of that is a) finding out what our clients really want and b) figuring out the best ways to achieve those goals. I find that immersion is key to understanding our clients’ needs, and at Fairmount we believe in a thorough research and discovery phase to hone in on target areas. We develop an in-depth understanding of the client’s sector, services and environment and learn about the successes and challenges the client is experiencing. My favorite aspect about working at Fairmount is that there is never a dull moment. Our clients span such a variety of sectors and industries that there is always more to learn. FV: So, what’s a typical day look like? EK: It really varies! 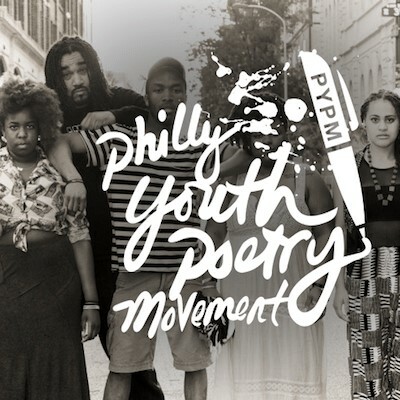 In the morning, say, I could be working with Philly Youth Poetry Movement. We’re creating their resource development strategy, determining the best fundraising strategy for them to optimize their operations and scale their programs. Later on I might find myself working on a business plan for Children’s Assistive Communication Network (CACN) – a non-profit start-up that works to maximize the capacity of children with complex communication needs so they remain engaged. After lunch, maybe I’m connecting with Friends of the Rail Park on their strategic plan. Or, better yet, celebrating with them – they recently secured grant money to move forward with the first stage of the Rail Park and broke ground for construction last week. It is truly rewarding to be working on a project that will have such a transformative effect on our City. FV: By working on multiple accounts spanning various industries, do you find that you garner inspiration for one client from another client? EK: All the time. For example, we worked with the Ralston Center on creating their Age-Friendly West Philadelphia initiative. One of the programs that they will implement within the next year is called Age-Friendly Resource Network Navigation. The rationale behind this program is that even when resources exist, seniors report being unable to navigate complex systems to find what they need. The Resource Network Navigator would help them source and realize the sought resources and not just simply give information and referrals. It is quite like a need of CACN, whom I mentioned earlier. They, too, are thinking about implementing a Resource Navigator program, as many families who have children with complex communication needs do not fully know their child’s options and rights, or how to effectively advocate on their behalf when interacting with schools, healthcare providers, and insurance companies. Again, the key is that the complexity of the systems is a deterrent in realizing available resources, hence a better and more user-friendly resource platform that can serve as a one-stop shop, coupled with a person who can navigate the family through the available information, will yield better results for both acquiring information, receiving support and securing resources.